LAST ORDER DATE FOR GUARANTEED PLACES IS FRIDAY 8th MARCH. Orders can be placed after this date and will be confirmed directly if the venue has space and allows us to adjust the numbers. Refunds will be issued if this is the case. Please highlight any Dietary Requirements at time of order in the ‘Additional Notes’ section of the Checkout. If You wish to stay over at the Cedar Court Hotel – the hotel has offered all our guests a reduced rate Bed & Breakfast in either a Standard Double or Twin Bedroom. 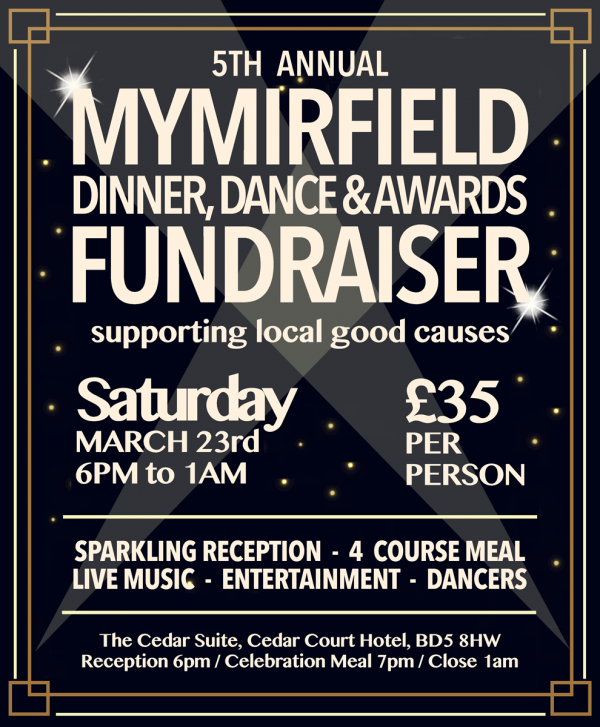 You need to book with the hotel direct and tell them you are attending the MyMirfield Awards on Saturday 23rd March. The rate will be subject to availability.